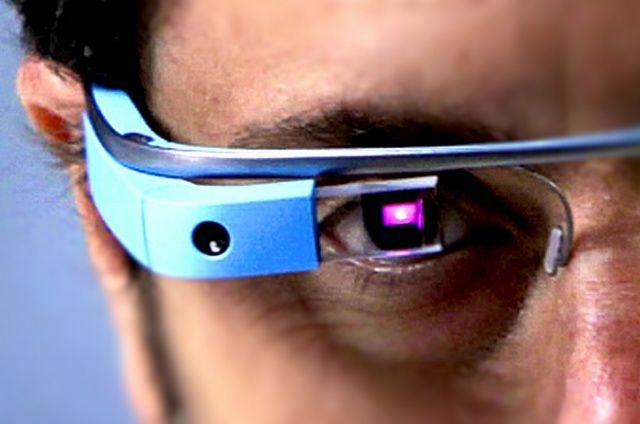 Google is getting closer to releasing Google Glass into the market. And we learned this week that Google’s Android team is working on a smartwatch. Both these products are examples of Android-based wearable computing devices. These arguments demonstrate that most people don’t get this technology at all. You can divide the world of products into two types. The first type are products that we use. For example, if we buy a toaster, we use that product to make toast. The second type of product is something that becomes part of us. We don’t so much use it as we are changed and augmented and improved by it. For example, if you lose a tooth, a dentist can install a lifelike, fully functional artificial tooth in your mouth. When you eat, you don’t so much “use” the artificial tooth. It’s an upgrade to your personal self. Other products that fall into this category include eyeglasses, pharmaceutical drugs, prosthetic limbs, tattoos, stents, pacemakers and many others. Wearable computing devices fall squarely into this category. They feel like and function like augmentations to our physical brains, giving us superhuman powers of photographic memory, total recall and the ability to communicate across vast distances. They let us outsource our knowledge to the Internet. Instead of memorizing facts and carrying them around in our brains, we can simply conjure them up from the cloud when we need them. So for example let’s say you’re wearing Google Glass. You ask Google Now a question, and remote servers crunch the data find the information deliver back an answer to you. The way I look at this transaction is that you the Google Glass-augmented user, is using the phone, the Internet and the remote servers. Google Glass is on the user side of the fence, not the computer side. And the same goes for smartwatch or any sort of computing device built in your shoes or a chip embedded under your skin. If you wear contact lenses and read a book while wearing them, you’re not using two products. You’re an enhanced human that’s using one product. So when people say: “Why would I use Google Glass when I have a perfectly good smartphone?,” they’re clearly missing the point. That’s like saying “Why would I use contact lenses when I have a perfectly good book?” No, the purpose of the lenses is to enhance your ability to use the book. You don’t choose between them. Speaking of contact lenses, one of the creators of Google Glass, whose name is Babak Parviz, has worked on — and is probably still working on — a contact lens that works a little bit like Google Glass, displaying information directly on the lens. The next step after contact lenses is the surgical installation of something into the eye itself that feeds you wireless data to that eye without the need to “wear” anything. Google Glass isn’t comparable to a smartphone. The choice between using or not using Google Glass is a choice between becoming augmented in that way or choosing not to be. I’m also seeing people say they won’t use a smartwatch because they’d rather use Google Glass, or vise versa. Again, this reveals a mis-understanding about what the wearable computing movement is all about. Within a few years wearable computing devices will interoperate with each other in powerful ways, multiplying the effect. For example, your Google smartwatch may notify you of an incoming video, and you might use a voice command through Google Now to play the video on Google Glass. Google Glass may notify you that the guy your meeting with for lunch is running late, and you might respond with the voice command to buzz your smartwatch when he’s two minutes away. Fitness devices will lead the way, enabling you to monitor your heart rate, pulse and other vital signs, and have that data crunched and made useful by, say, an app running on your wristwatch and displayed on the Google Glass electronics built into your prescription sunglasses. The ultimate application for wearable computing is to augment yourself in multiple ways simultaneously and have all these devices form a little mesh network all over your body combining sensors, Internet connectivity and various ways to interface not so that you’re “using” a bunch of little mobile computers, but instead to transform you, personally, into an augmented human with powerful abilities. The bottom line, and the thing to understand, is that wearable computing devices like Google Glass and the coming Android smartwatch are not examples of another type of mobile computer — they’re not smaller, wearable smartphones. The way to look at them is examples of a brand-new category of products that becomes part of and enhances the human body. In short, we are evolving into cyborgs. Google Glass and the Android smartwatch are just the next step in that evolution. If that sounds sinister or too science-fictiony to accept, realize that this process has been going on for a long time. We’ve been enhancing the human body and human ability with man-made upgrades for centuries. Even wearable computing has been widely distributed in many professions, from the military to medicine and many others. What Google Glass and the Android smartwatch represent is the first major implementation of wearable computing for everybody. So like it or not, wearable computing is coming. Ultimately, resistance is futile. You WILL be augmented.